This is a project that i thought about ever since i started playing with Inquisition armies, and now I am overjoyed to give you my under construction Daemonhunters army! 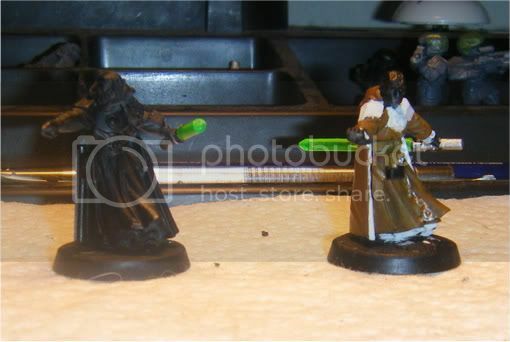 Eventually, i plan to have another couple of inquisitors and 2-4 more stormtrooper squads. 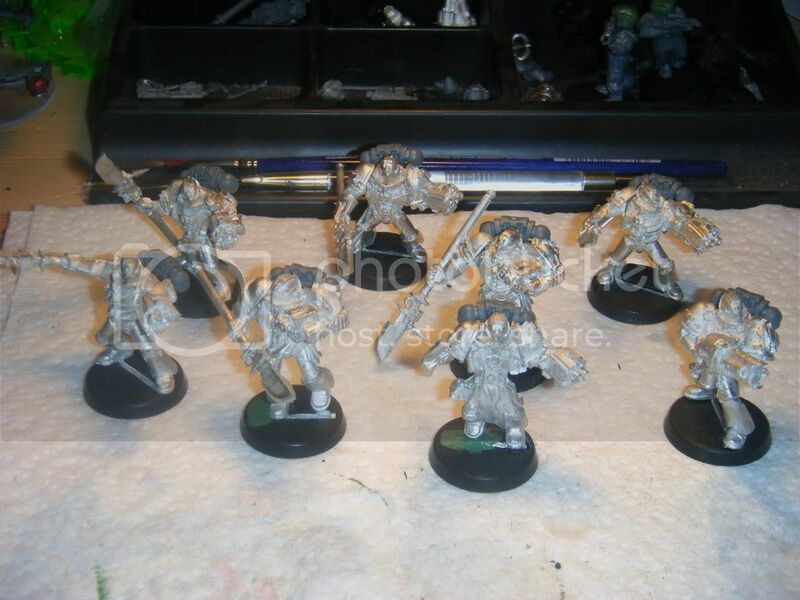 As well as another GK fast attack and Purgatorian squads. 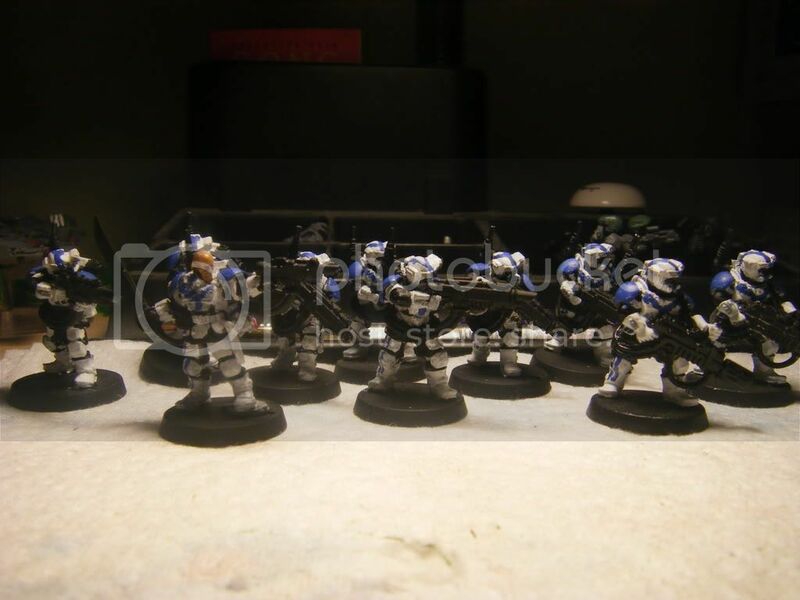 The paint scheme from the 1st stormtrooper squad is the what all of the stormtrooper squads and eventual vehicles (valkyries) are going to be painted. I&#39;m planning to paint up the GK&#39;s in their standard scheme, beacuse that&#39;s their best scheme in my opinion, but i am still open to somthing else if it&#39;ll fit well. I&#39;ll mainly be posting updated painting progress. well, what do ya think? 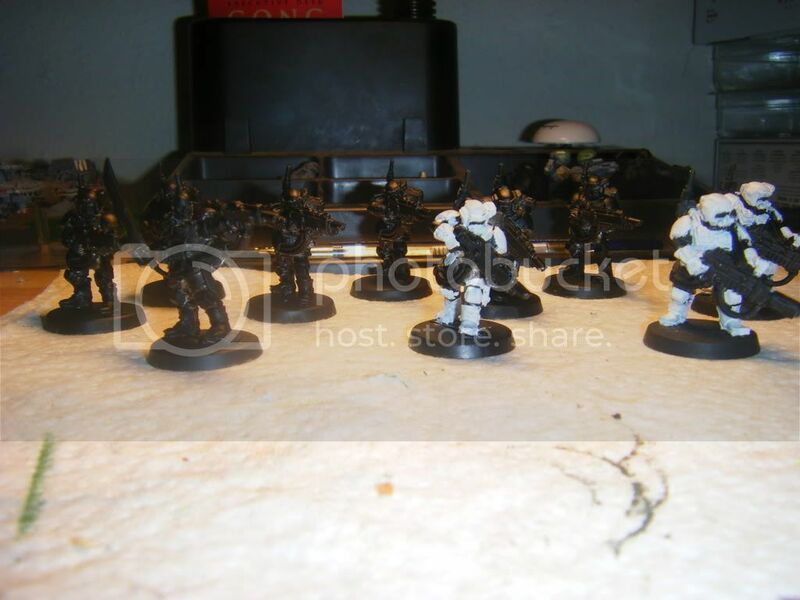 I quite like the Stormtroopers colour scheme, it looks good and an army painted like this would be awesome. I&#39;ve been wanting to start a stormtrooper heavy army for awhile, but I&#39;m making myself finish my Marines first. I&#39;m looking forward to following how this goes. 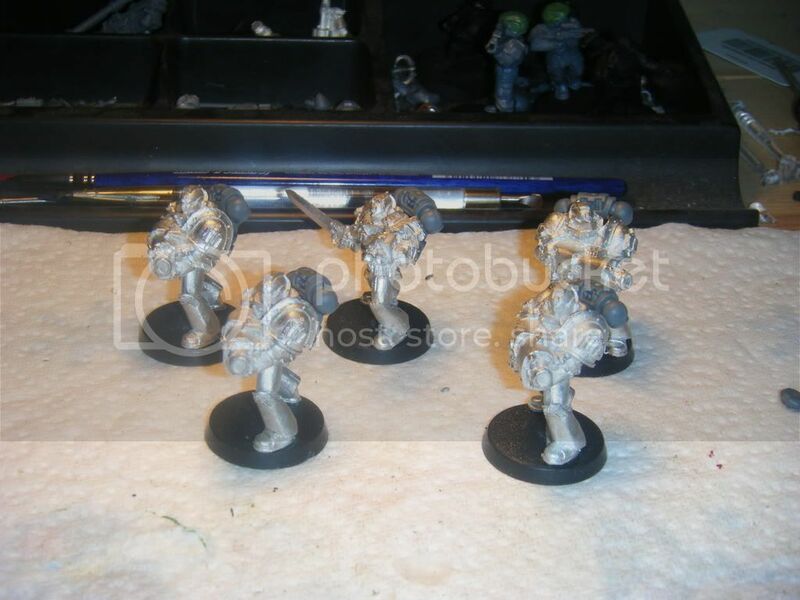 -3 elites choice inquisitors joined up to the stormtrooper squads. After a few games with that list (all proxied w/ my gaurd army), I chose to lose one stormtrooper squad and add in the GK&#39;s for the killing strike. Love the idea with the light sabers :P . But looking at your list, i think you should add an assassin in, just to get rid of those nasties that you may encounter. This is a really cool concept looking forward to see more.